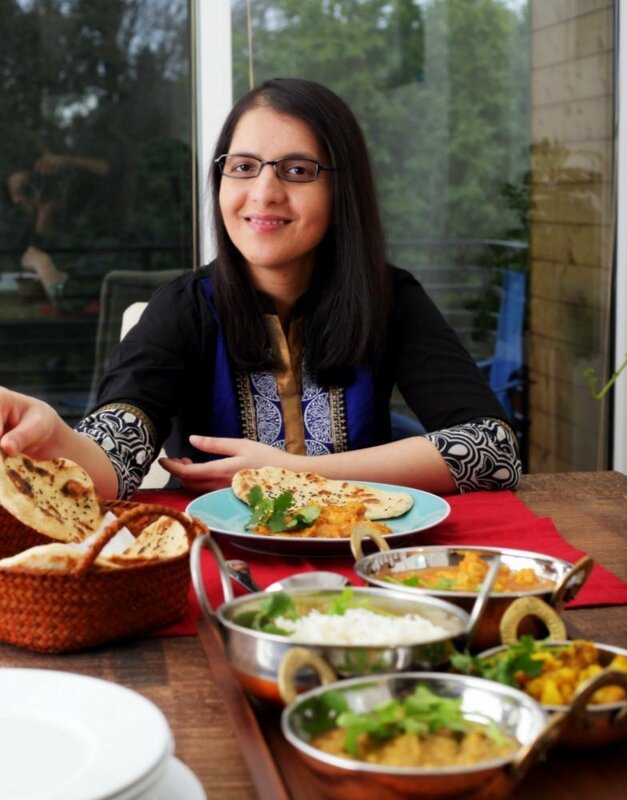 5 Things about Vegan Richa’s Indian Kitchen Cookbook you should know! + Signed Copies Giveaway! I am super excited!!!! and grateful! I got my copies of the book and it has started shipping as you read this! 6 days to release date! It has been almost a whole year of hard work. I was so apprehensive about how it will work out, how the recipes will be liked by the testers, how it will get tied together. So many edits, photography, days when I thought I wouldn’t be able to read another page, and now it is all printed! If you love what I do, if you have made my recipe and loved it, if you love the photos I take, and love the amazing food, you need to order your copy today (Available Internationally)! If you already ordered, THANK YOU! Know that you are supporting me and some wonderful charities. Exclusive Sneak Peak into The Book ! Watch it in HD! If the video above is not visible, watch it on youtube here.. There is a scientific reason that Indian food feels insanely delicious to many. The spices and flavors that don’t necessarily feel complementary are often used to give the final dish a complex flavor profile. It is radical and mesmerizing! And made accessible in the book! Advance Praise for Vegan Richa’s Indian kitchen. Vegan organizations, charities and sanctuaries in India have a different set of problems which need creative and sustainable solutions. I try to support these organizations with the blog and now the book in any which way I can. These organizations, most of which were founded by fabulous vegans, are efficient and known for their self sustaining innovative solutions. 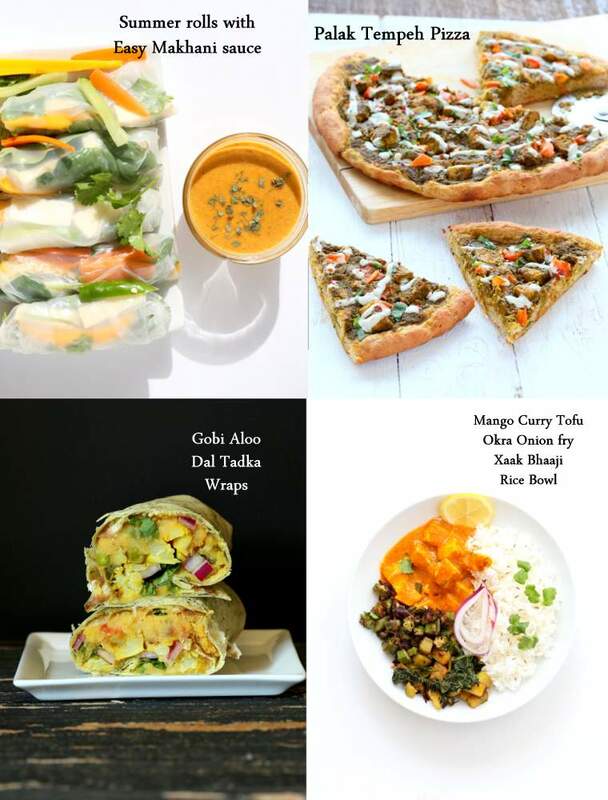 So Delicious Dairy-free, Bob’s Red Mill, Blendtec, Magic Bullet, Living Harvest Tempt, Beyond Meat, World Spice, Instant Pot, World Spice, Magic Bullet, Earth Balance and EatGrain.ca! A Big Thank you to these wonderful companies! If you are waiting to Order a copy.. and wondering why get an Indian cookbook? Because it is flavorful food that you can cook and serve as you want! Use the main sauces as Dips with roasted veggies or summer rolls! I am giving away 2 Signed copies of the book on this post. To enter, please share/repost/retweet this post, or the amazon link on any social media of choice (twitter, Instagram, Pinterest, or Facebook) and post the shared post url in a comment on this post! This giveaway ends Friday May 15 afternoon, so I can mail out the books to you to reach by May 19! Open to US only. Tanya and Celeste, your books are on the way! I’m so excited about this book, Richa! It’s stunning, and I can’t wait to get my hands on all the recipes! I shared on Twitter and can’t wait for the book! So excited for you and this book! Thank you! In a kitchen. The pages will be memories for my daughter when she becomes the cook in her home. She had Indian food in the womb! We both love it! Can not wait to try your naan. Pre order number was D01-9197450-8891242 on amazon. I am so low tech. Not sure you need that too . But , I look forward to reading this I am just a week into the vegan lifestyle and need my favorite cuisine along for the journey! Thx for all your work and giving back. Wow, your cooking skills has taken you this far! Congrats!! Seen some of your recipes in this blog and my mouth started watering. So it is better I leave the site quite quickly after leaving this commend. Thanks for sharing your story. Good Luck. Keep Cooking!! I posted on instagram, https://instagram.com/o/2s5LL7yMzp (amealyawontforget). Thanks so much for the opportunity. I can’t wait for new delicious recipes!! …and for tonight’s dinner (your massaman recipe). Thanks for sharing and congratulations! book. Love what I saw on the index and can’t wait to try many things. I HAVE GOT TO TRY THE CASHEW FUDGE! I am soooo excited to get my book! 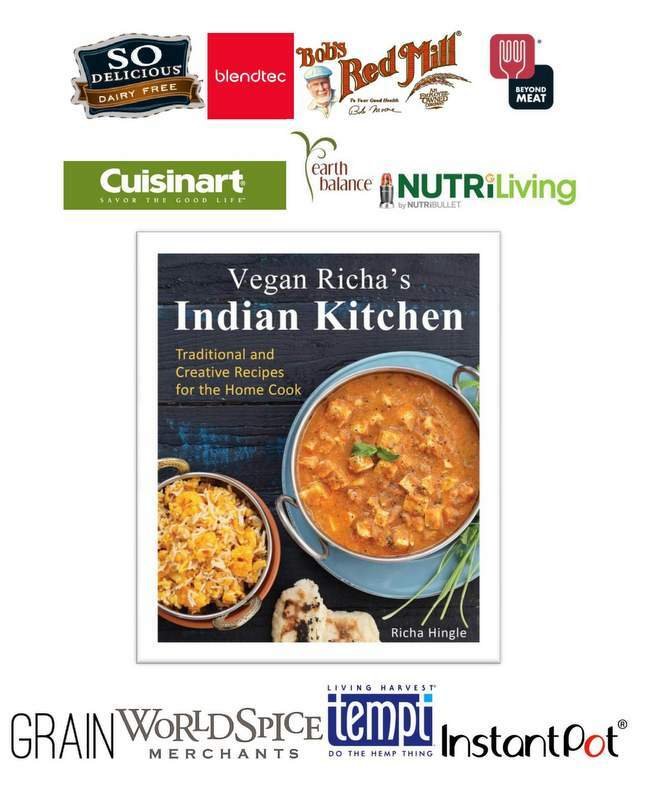 Hubs preordered it for me as a mother’s day gift, so I’m going to make him a vegan Indian feast for father’s day! I’m happy to support such amazing talent, Richa! Love from New Brunswick, Canada! My pre-order arrived this morning! Beautiful book, and packed with recipes- no extraneous “filler” in these pages, which I appreciate! Can’t wait to start using it. Thank you! yay!! We had a hard time fitting the book in the pages 🙂 I wanted larger font that is easier to read! so we made sure to use the space well! Congrats Richa!! So excited for you! Everything you said in this post was right on! I highly recommend this book for anyone and everyone…I don’t say this often about cookbooks, but I was surprised at how easy the dishes were to make. Despite some of the longer ingredient lists, they were quick, and your instructions were very simple, and the outcome was delicious! Yummy Mango Curry…can’t wait to write a review on my site! Awesome! So glad it turned out well! It gets quicker once you have cooked a few dishes as you will know what to expect!